IDW Games has announced it would be bringing its latest imported title to market in March of 2015. 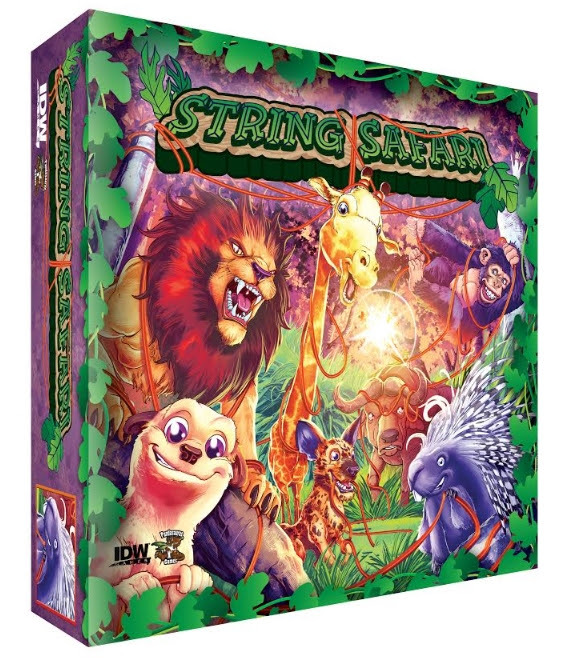 String Safari, a game of tile placement and string manipulation has players competing to complete research projects by roping in the most exotic animals. Designed by Hisashi Hayashi and featuring all-new artwork by Fico Ossio this all-ages adventure will rope in gamers from all walks of life. String Safari is designed for three to five players and is playable in about thirty minutes. The game features both an advanced and basic set of rules, so there’s plenty of fun for both younger gamers and the more experienced. This is the latest import from Japon Brand games, the publisher behind the mega-hits Love Letter and Machi Koro. String Safari will retail for $24.99 and is scheduled for release in the spring of 2015.